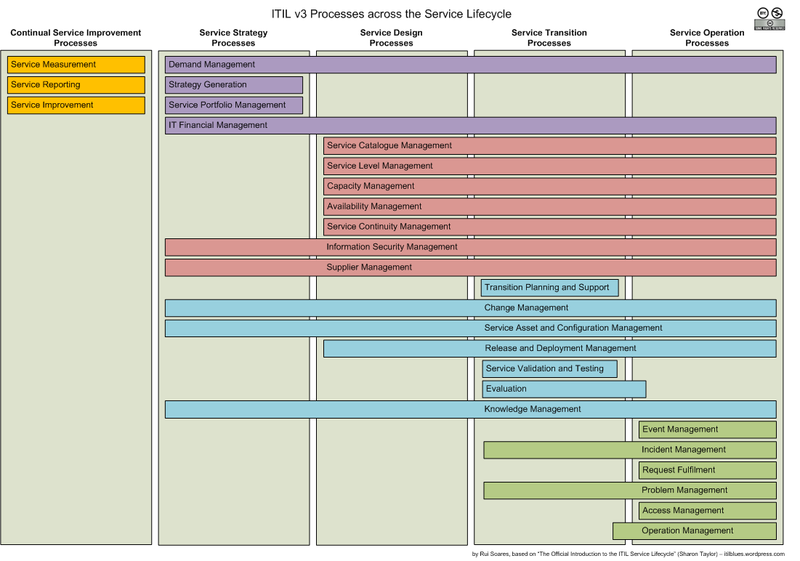 Here’s a take-and-share version of the previously mentioned ITIL v32011 Processes throughout the Service Lifecycle. For a Visio version just email me (currently French – NEW! Thank you Richard Martin, English and Portuguese versions – keep them coming!). This entry was posted on October 13, 2007 at 3:26 pm and is filed under Diagram, itilv3, Process, Service Lifecycle. You can follow any responses to this entry through the RSS 2.0 feed. You can leave a response, or trackback from your own site. boas rui podias enviar-me a versão VISIO? é para converter para PDF num formato maior. btw: bom curso e bom formador! o v3 é realmente mais virado para administração/gestão, com mais processos e mais especifico do o v2. agora ando a ler material do v2 (como o guia de bolso) para me ambientar mais com os processos/serviços. Nice work, Rui! I’ll share this with my pals. 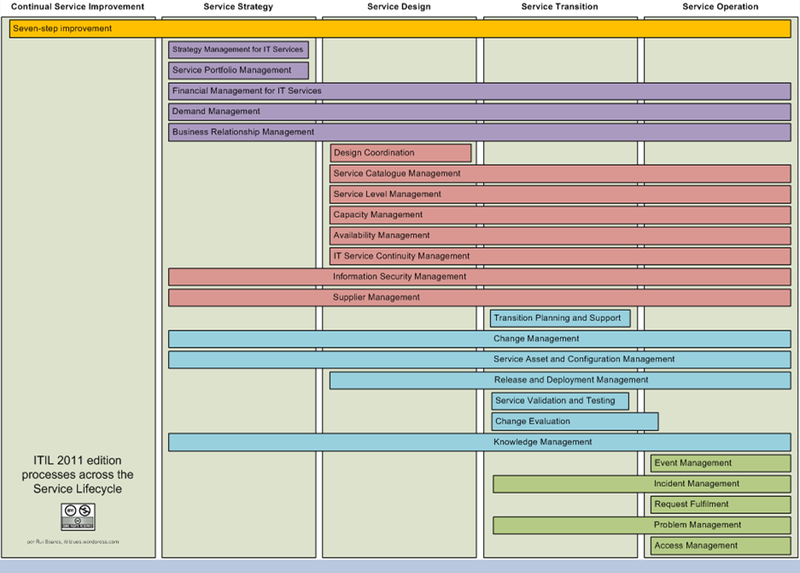 Its tough to create these templates by own unless you understand every aspect of ITIL. Thank you for this diagram. This is what i was looking for!